Bang the drum. 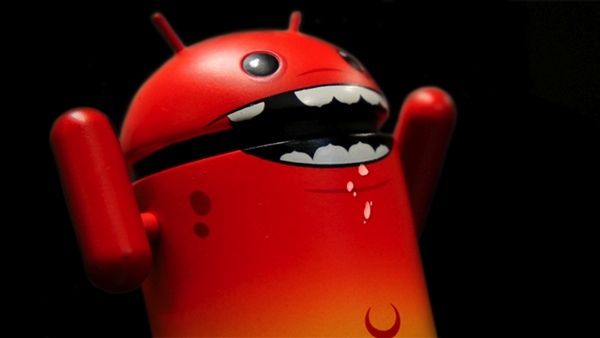 Android is a sarlacc pit of mobile malware malaise. While most of the headlines generated by just released DHS data say Android malware accounts for about 80 percent of the total, the real picture is much more dire. For example, if one removes Symbian (a moribund platform) from the picture, Android’s share is nearly 100 percent. A fresh Department of Homeland Security report (pdf) has grim news for Android users: 79 percent of all mobile malware is, in fact, Android malware. But that’s an optimistic reading of the data. However, Nokia’s once a time dominant Symbian mobile OS is no longer in development and its user base is rapidly fading to zero. That means the relatively few devices running that legacy operating system will be replaced, most likely, by an Android device — remove Symbian from the picture and Android malware’s share shoots up to more than 97 percent. 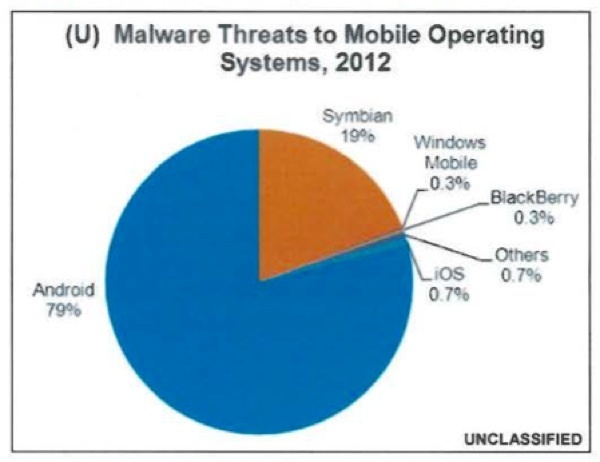 Yes, some mobile malware does affect iOS, Blackberry and Windows Phone, but the relative threat is negligible. Or, put another way, it wouldn’t surprise me if the survey’s sample error rate was 2 percent or greater, leaving everyone but Android users entirely out of the picture. Are you an Android user? Feeling under siege? Do you run antivirus software on your Android device?